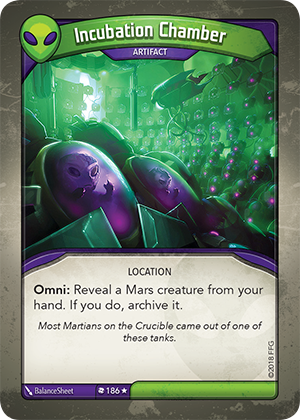 Card Text Omni: Reveal a Mars creature from your hand. If you do, archive it. Flavor text Most Martians on the Crucible came out of one of these tanks.